Summary : Custom development of online inventory management system and multi-platform desktop application used to manage and synchronize products catalogued with a portable handheld barcode scanner. 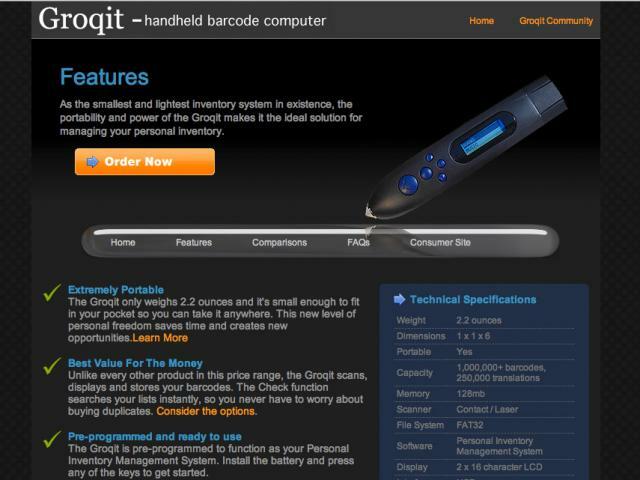 Inventors of the Groqit came to us with the idea of a small, portable device that would revolutionize the personal inventory management industry. They needed a way to sell products online, remotely manage thousands of devices, support the people who use them, and manage the tremendous amounts of information required to track millions of different products.